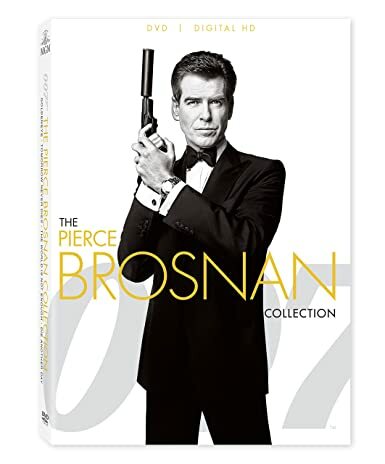 Here are the multi-movie products that feature Pierce Brosnan as James Bond. Pierce Brosnan has portrayed James Bond in four films. This collection features four films: GoldenEye, Tomorrow Never Dies, The World Is Not Enough, and Die Another Day. This site is created by Wayne McDonald of Imagine Something Worthy, LLC. Of the various movie sites created by Imagine Something Worthy, LLC, this is the first one to be centered about a character instead of an actor. This is an affiliate marketing site. If you choose to click through to the seller's site and purchase the product and/or other products, the owner of this site will earn a commission.